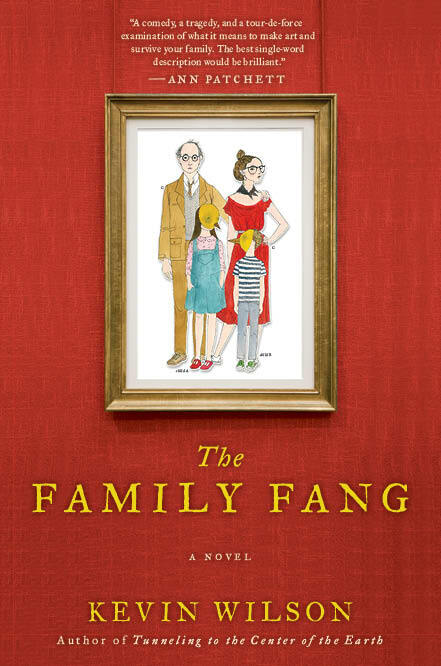 I was required to read The Family Fang by Kevin Wilson for college, and finished in just two days. Equal parts hilarious and touching, this novel has a great amount of depth and soul, with fully developed characters and an incredibly original plot line. Although a bit offbeat, I would highly recommend this book to anyone — it’s easy to read, but the prose is excellent and the story not one to be missed. Many of the public acts they commit are incredibly bizarre, only stirring up trouble and undoubtedly disturbing the people around them, whose spontaneous reactions the Fang art depends on (one such example: the book opens with a scene in which Camille attempts to steal a ludicrous amount of jelly beans from a candy store, with the intent of getting caught). In the flashbacks throughout the book, Caleb and Camille use their children as props in their pieces, often forcing them into strange and often dangerous situations all in the name of art. There are many unexpected twists and turns in this novel, all of which reveal something deeper about the characters. Wilson has deftly crafted a story that is truly brought to life by its protagonists — a story which is entertaining and engaging on the surface, but also one which delves into moral issues underneath. It is soulful, witty, and packed with originality, while at the same time managing to be incredibly thought-provoking. This is a can’t-miss novel with a lot of heart, and I would recommend it to anyone.